Dr. Vinay Hazarey BDS from Governmen Dental College and Hospital (GDCH) Nagpur (1975) is one of the firsts Masters of Dental Surgery in Oral Pathology from GDCH Mumbai of Mumbai University (1978). In fact, he is the first in many aspects of the academic and professional career. The first Indian oral pathologist recipient of emeritus membership award by the International Academy of Oral Pathology at recently held Vancouver conference in June 2018. Dr. Hazarey started his academic and research career as a research dentist at Basic Dental Research at Tata Institute of Fundamental Research, Mumbai, in 1978 with Late Prof. Pindborg and Dr. Dinesh Daftary as Principal investigators. He joined GDCH, Mumbai, in 1980 as a lecturer and then at GDCH Nagpur as associate professor and Professor's head and served the institution as a Dean. After serving Dean for the longest tenure of 20 years, he retired in 2017. At present, he is an emeritus professor at A B Shetty Memorial Dental College and Hospital, Mangalore, South India. He has been a postgraduate teacher and mentor to many students who are heading the institutions as Deans, Vice-chancellors, Professors and heads of the Department of Oral Pathology in India and abroad. Dr. Hazarey has received various fellowship awards like Commonwealth Medical Fellowship at the Department of Oral Pathology King's College School of Dentistry London with Supervisor Prof. Newel Johnson and Prof. Saman Warnakulasuriya (1994–1995). American Cancer Society University Fellowship at UICC conference Washington DC July 2006 and ACS Leadership Training to advanced Community Based Cancer Control New Delhi 2007. He also received prestigious John Hopkin's Global Tobacco Control Leadership Program fellowship in Baltimore, US in June 2013. He has delivered several guest lectures both in Indian and in other universities in Japan, Malaysia, the US, Finland, South Africa and South Korea. He has been the symposium panellist in the International Symposium “Betel-Quid and Oral Health” at International Congress of Oral Pathology and Medicine, Singapore 2003, “Areca-Quid with Tobacco-Induced lesions at the 5th International Conference on Prevention of Tobacco-related Diseases University of Hong Kong 2006. Dr. Hazarey also delivered Dr. Hari Paraksh oration at the AIIMS, New Delhi, on his research “Oral Submucous Fibrosis-State of Science and Strategies in 2017. Dr. Hazarey has served immensely to the growth of Indian Association of Oral and Maxillofacial Pathologists (IAOMP) and was President of the association in the year 2006. He successfully organized 7th National Conference of IAOMP Nagpur in 1998. Dr. Hazarey has many original publications in National as well as International journals. He is a contributor in the book “Oral Medicine and Pathology” A Guide to Diagnosis and Management edited by Saman Warnakulasuriya and WM Tilakratne (Japee Publications) 2014. 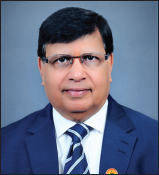 He is also a reviewer of “Smokeless Tobacco and Public Health in India “Publication of Ministry of Health and Family Welfare Government of India 2018 edited By Prof. Prakash Gupta. Dr. Hazarey has primarily worked on oral potentially malignant disorders, especially on oral submucous fibrosis and Areca-quid-related disorders and various aspects of tobacco control such as cessation, advocacy and legislation. The concept of self-mouth mirror Examination for early detection of oral precancers and oral cancers monitored by Dr. Hazarey has now been actively implemented by the Government of Maharashtra. His contribution was worthy of recognition by Late A P J Abdul Kalam for Science Promotion Award and also Sushrut award by Head Office, Indian Dental Association.